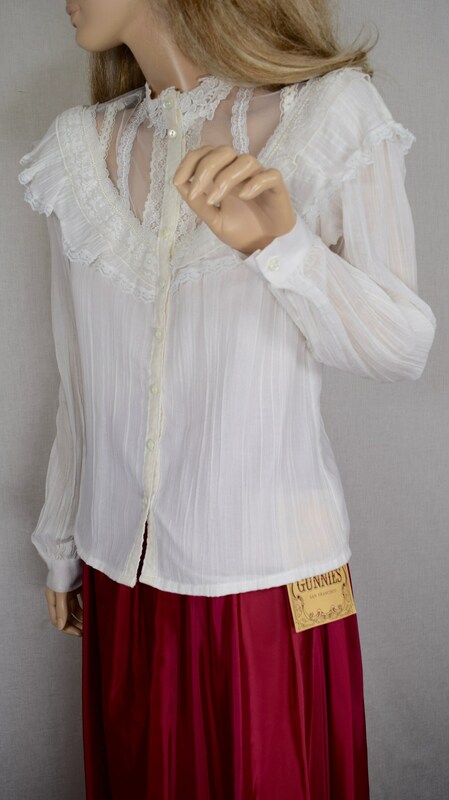 The blouse has a unique neckline with tons of details. Please see photos. Fish net with lace and pearls at the neckline. I LOVE the lace that is around the high neck line. Please see photos. Light weight gauzy breathable fabric. Buttons at the cuff and down the front. Has all of its buttons. Has a very Victorian / Edwardian look to it. 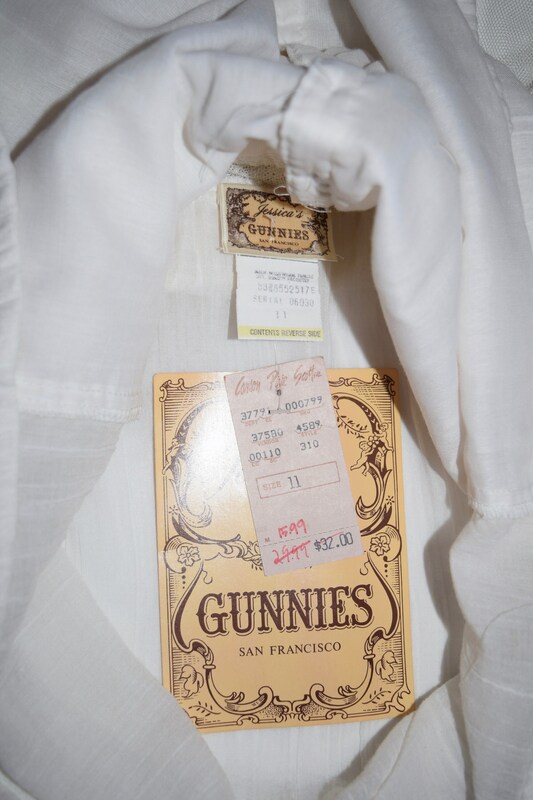 Very detailed garment that is cooler than many other Gunnie's tops I have seen and sold in the past. Fabric: Gauzy 65% polyester and 35% cotton blend. Size: M- tagged a vintage size 11 - 38" bust - hard to find size, we mostly find XS in this brand. Condition: New Old Stock and never worn. Has no flaws and no signs of wear. Excellent vintage condition and was professionally cleaned. Tags were removed for cleaning and then reattached.